1. Directions For Bacon: Prepare bacon as desired and let cool. 2. For Dipping: Place Ghirardelli Melting Wafers in a microwave-safe container and microwave at half power or defrost setting for 30 seconds. Stir thoroughly (product keeps its original shape until stirred). If not completely melted, continue to microwave in 15 second intervals and stir until smooth. Overheating can cause wafers to burn. 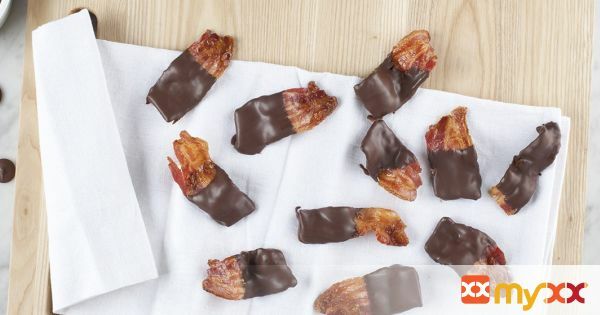 Hold each piece of bacon on one end and dip half into wafers. Place coated bacon on waxed paper. Cool in refrigerator for 10-15 minutes, or until hard.